Mark Ellis: Mark is literally one month ahead of schedule in regards to his rehab. After a May 19th collision at second base, he was hospitalized for five days, and came within six hours of losing his leg. I’m not a doctor…but that’s not typically a “let’s get back to playing baseball” type situation. That’s more of a “I’m lucky to be walking” type situation. Nonetheless though, he is not only walking, he’s playing again. Like I said before, today is a huge day for Mark. 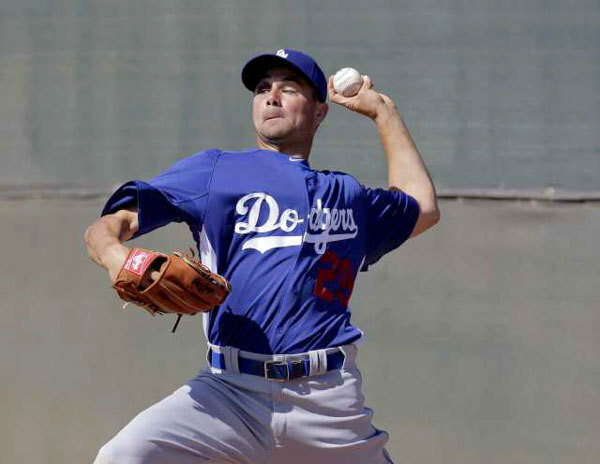 He will be making his first rehab start of a four day assignment for the Rancho Cucamonga Quakes. Tonight, he is going to just DH. Then he will play the field the remaining three days, and rest after that. The Dodgers have targeted Mark to make his official comeback with the club (assuming all goes well with rehab games) for the Arizona series which starts this upcoming Thursday, July 5th. Matt Kemp: Matty is also doing well and is progressing right along in his rehab. Don Mattingly came out last week and said that the Dodgers had sat down with Matt to discuss the All-Star break and whether or not he would be able to participate. The agreement that they came up with was that he would be able to compete in the Home Run Derby no matter what, but would not play Center Field in the ASG if he had not yet played a game for the Dodgers. Which is understandable. Donnie has since said that Sue Falsone and the Dodgers training staff are now working to not only allow Matt to compete in the Home Run Derby, but also manage to work that into his rehab as well. “The plan right now is that it would be part of what he’s doing. We’re going to try to build it into the program.” Mattingly said. Don went on to add that Matt still has another round of testing to do on his hamstring before he starts his rehab assignment, but that there is a chance he could start his rehab assignment before the All Star Break. 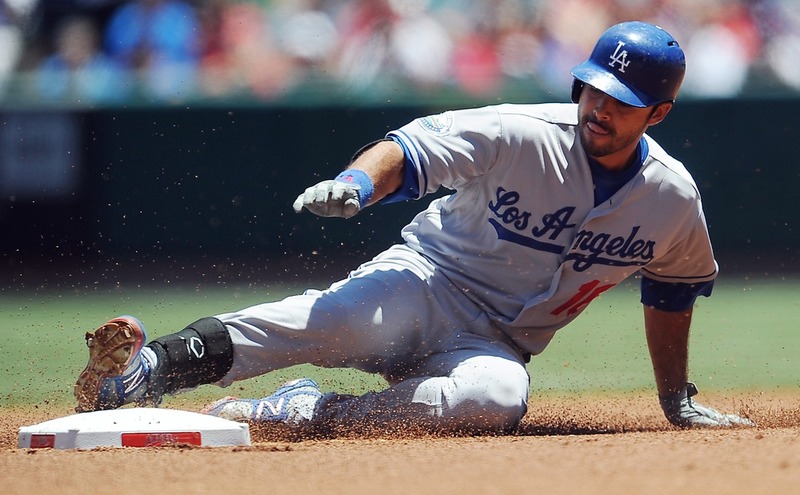 Andre Ethier: ‘Dre, as we all know in that dreaded Giants’ series, tweaked his left oblique in a slide to second. Good news for us all, is that it wouldn’t require a DL stint. I know that oblique’s are incredibly touchy injuries and depending on the severity, could literally take months to heal, but Don and Andre have both said it was a very minor injury, and they are just playing it safe. ‘Dre is still sore, but he says that he expects to be back in the lineup either tonight or tomorrow. Judging by the way they have played it so far, my guess would be tomorrow night, but we’ll see when the lineup card’s scratched in. Ted Lilly: Ted’s recovery is still moving along slowly, but moving along nonetheless. Last Friday he made a big improvement and made about 15 soft throws. I know that may not sound like much, but initial reports were saying that his shoulder inflammation would cause Lilly to undergo an operation, so the fact he can make throws without it, is a huge progression. Don said that they will continue to take it slow and cautious with Lilly. Luckily for everyone, Eovaldi has done a very nice job (contrary to his win-loss record) replacing Lilly in the rotation, so we don’t have to rush anything. There has not yet been a timetable on his return. Javy Guerra: Javy underwent right knee surgery on June 5th, and has made a very good recovery from that. He is said to possibly be ready for a rehab assignment as early as this upcoming week. He threw back-to-back bullpen sessions on Thursday and Friday and is progressing along nicely. Similarly, there is no timetable set for Javy’s return either. 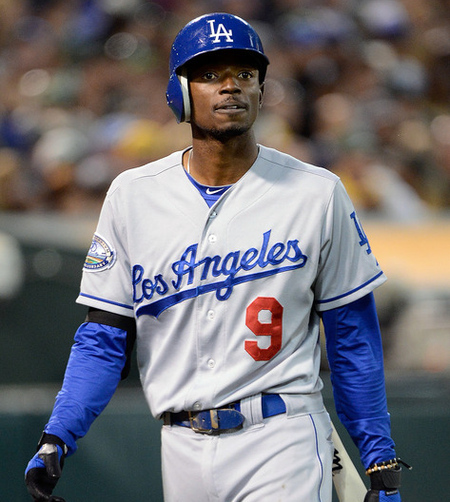 Today, the Dodgers bad luck just kept on packin’ on. 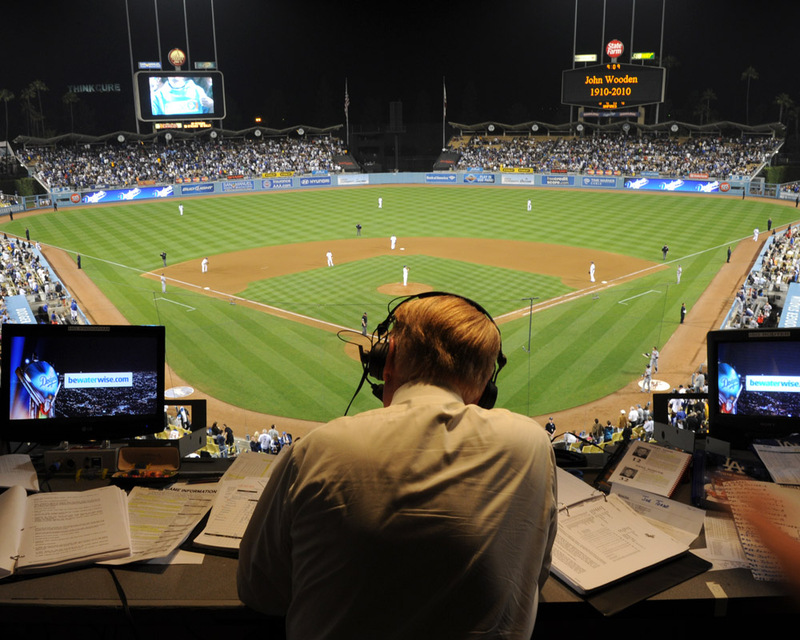 I am very thankful for Vin Scully, because if it wasn’t for him, I wouldn’t know what to write today to sum it all up. He, as always, had a theatrical one-liner that did a better job than I could have done in a paragraph. Andre Ethier, after walking in the first inning, slid into second to try and break up the ever-so inevitable double play that the Dodgers can’t seem to avoid lately. The slide didn’t work, and of course, the Dodgers did hit into the double play and it ended the “rally” as usual. All seemed to be normal, until Don Mattingly and Sue Falsone walked out towards ‘Dre in the middle of the inning. After a few words, he was pulled and Herrera was put in RF to replace him. He was taken out due to a left oblique strain. Now, depending on the severity of the injury, this could take quite a while to heal. A move will probably have to be made. Everyone’s money would probably be on Alex Castellanos to be brought up, if necessary. With Ethier and Kemp both sidelined, (responsible for the Dodgers’ 22 of 45 homeruns) the HR leaders on the team are AJ Ellis with six and Juan Rivera with three. In the third inning, Juan Uribe lead off, so naturally, that limited our outs to only two for the inning which brought up Chad Billingsley with one down. Bills decided to help his own cause. How? By destroying a pitch to right center that bounced off the wall for a double. The last time I remember seeing power like that was Bobby Abreu’s homerun in Anaheim. Then, with Billingsley on second, Lincecum threw a wild pitch which advanced Chad over to third with one out. Could it be? Could that horrid 23 consecutive scoreless inning streak end? A couple pitches later, sure enough, Lincecum throws his second wild pitch, and Chad takes off for home. Unfortunately for us all, the ball bounced right back to Sanchez and he threw a bullet to Tim who was covering the plate…Out…24 consecutive innings. In the bottom of the same inning, the Lincecum-Billingsley battle continued with Lincecum singling on a line drive to left field. Gregor Blanco grounded out, which advanced him to second and a Ryan Theriot single moved him over to third. With runners at first and third with two out, Melky Cabrera hit a double on a fly ball to left field which scored Tim and moved Theriot over to 3rd. Dodgers down 1-0. After a Buster Posey walk that loaded the bases, Angel Pagan also worked the count for a walk and that forced in Theriot. Dodgers were then down 2-0. In the fifth inning, Juan Uribe tried to end the inning by striking out with another ugly swing, but swung at a ball that actually got away from Sanchez so he ended up on base. Billingsley would strike out right after him though…26 consecutive scoreless innings. To the top of the seventh we go. We have runners on second and third with two outs, and who steps up to the plate…Juan Uribe again. Maybe this is his chance to shine. Maybe this is finally the time where he will stop swinging at terrible pitches and just maybe get a run in. What if Uribe was the one to end this now 27 inning scoreless streak? Nope. He strikes out swinging to end the inning. Weird. With the Dodgers losing this one today, 3-0, that runs their total to 30 consecutive innings. Now anytime that you are shutout in an entire series, you start wondering how close to that dreaded history you are. Well I checked, and fortunately for us all, I couldn’t find an official record for most consecutive innings by a team, however I did find something interesting. Almost exactly a year ago today, the Seattle Mariners were shutout for 30 innings in a row. 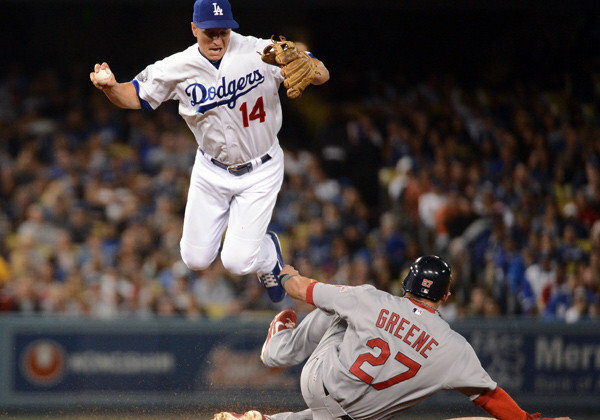 Now before I go on, the last time the Dodgers have scored was in the sixth inning against the Angels on Sunday Night. When the Mariners had their streak, the last time they had scored was also against the Angels. Strange. Either way, the Dodgers now have 30 consecutive scoreless innings, and man, I can’t wait for it to end. This is brutal. Not appearing to be running full speed, Matt Kemp rounded third base on his way to home after Andre Ethier’s RBI double to score him from first. Kemp immediately seemed to be limping. He was taken out of the game at the end of the first inning, and replaced by Tony Gwynn at Center Field. Vin Scully announced, officially, that it was a re aggravated left hamstring. Kemp, in his second game back from the DL, never seemed to be able to get back on track before his injury. Matt went into the dugout and almost immediately snapped a bat over his knee, and Gwynn started warming up. He would eventually disappear from the dugout and into the clubhouse. He will undergo an MRI tomorrow to see how bad the injury really is. More details coming soon.